Foreign Exchange Regulation (HER) Act- 1947 prohibit export of any goods directly or indirectly to any place outside Bangladesh unless the exporter furnish a declaration to the effect that the export value of goods has been or will be repatriated into the country within a period time specified by the Bangladesh Bank, So repatriation of export proceeds is mandatory for all exported good or services. Accordingly, before shipment of goods an exporter must declare on Export form (Exp) prescribed by Bangladesh Bank and issued by the Authorized Dealer (Exporters Bunk). The EXP forms are numbered serially and issued in quadruplicate. For delay in repatriation of export proceeds or non-realization of export proceeds, the exporters render themselves for action under Foreign Exchange Regulation Act 1947. Authorized Dealers (AD) and their officials who certify the export forms also render themselves of such action by the Central bank. • Documents are negotiated within the L/C validity. If credit expires on a recognized bank holiday its life is automatically valid onto the next working day. This is to be stipulated on the documentary schedule. • Documents value does not exceed the L/C value. • It must be marked as drawn under L/C No, date, issued by, bank. All the documents are found strictly as per terms and conditions of L/C I.e. if the documents are free from discrepancies or if the discrepancies are covered by Indemnity of the party, bank has to negotiate the Export Bill for negotiation of cash export bills, the O.D buying rate prevailing on the date of negotiation is applied conversion of the foreign currency into Bangladesh currency. All transactions are reported through F.E.T sent dally to the international division Head Office, Dhaka. On receipt of the F.E.T the head office credits the FBNA Account by debit the balance with foreign Banks abroad Account after the process of the bill is realized. After negotiation of the export bills, the documents are to be sent abroad (normally to the L/C Issuing Bank) as per the instructions of L/C & claim reimbursement of the proceeds from the bank as mentioned in the L/C. • At first, through negotiation bank will earn a certain commission from the party without involving any fund. • Bank will earn US$ from reimbursing bank from the foreign and bank is also earning commission from that. • If the payment make overdue, on that time branch of the concerned bank will earn interest from that amount. When the Back To Back L/C is opened in a foreign country supplier it is called B-To-B L/C (Foreign). It is generally payable within 120 days at site. to-Back L/C (Local). It is generally payable within 90 days at site­s. • To fill-up the E-2/P-2 schedule of S-1 category. The whole month import amount, quantity goods category, country, currency, etc. all arc mentioned. Respective IMP forms are attached with the schedule to fill E-3/P-3 for all invisible payment. • Scrutinizing documents as per L/C terms and conditions. • Forward the documents to L/C opening bank. • L/C issuing bank give acceptance and forward acceptance letter. • Payment given to the party by collection basis or by purchasing documents. Secured Overdraft is one kind of credit facility enjoying by the exporter from the export section. It is generally given to meet the back-to-back L/C claim. Sometimes it is given to the exporter by force to meet the back-to-back L/C claim due to delay of Master L/C payment. It is one kind of credit sanctioned by the export department to meet the exported goods shipment timely. Packing credit is granted to pay– salary. Wage & other related factory expenses of processing the imported products. The bank will give the facility after deduction of back-to-back. Fund transfer from one country to another country goes through a process which is known as remitting process. Suppose a local bank has 200 domestic branches and has the corresponding relationship with a foreign bank say-‘X’, maintaining “Nostro Account” in US$ with the bank. Bangladeshi expatriates are sending foreign remittance to their local beneficiary, through that account. Now, when the Bangladeshi expatriates through other banks of different countries remit the fund to their “Nostro Account” with “X”, then the local bank’s Head office international division will receive telex message and the remittance section will record the advice and generate the advice letter to the respective branch of the bank. The branch will first decode the test, verify signature and check the account number and name of the beneficiary. After full satisfaction, the branch transfers the amount to the account of the beneficiary and intimates the beneficiaryaccordingly. But sometimes complexity arises, if the respective local bank has no branch where the beneficiary maintains his account. Then the local bank has to take help of a third bank who has branch there. Export Import Bank of Bangladesh Limited (EXIM) Bank is the Authorized Dealer (AD) to deal in foreign exchange business, as an authorized dealer, bank must provide some services to the clients regarding foreign exchange and this department provides the service of remitting foreign currencies from one country to another country. In the process of providing this remittance service it sells and buys foreign currency, the conversation of one currency into another takes place at an agreed rate of exchange, which than Banker quote one for buying and another for selling. Authorized Dealers have to demonstrate utmost caution to ensure that foreign currencies remitted or released by them are used only for the purposes for which they are released. Most outward remittance is approved by the authorized dealer on behalf of Bangladesh Bank. Fund transfer from one country to another country through hand by hand or over telephone in an unofficial channel like – “Hundi”, Experts state that remittance collected by informal “Hundi” rings are used to finance illegal trade and transaction. Terrorist financing is also made by this sort of channel. Analyzing the financial performance (also called financial analysis) is so much essential for each and every business institution as well as for the Banking institutions to assess their past financial performance and to identify the sources, where the necessary improvement is needed to perform better in the future and to meet the future challenges by taking effective business strategy. After observing the figure drawn above, we have found that, during the time period between the years 2004 to 2008 the Import Business of the Standard Bank was increasing, and the growth is on average 23.80% which was a good sign. 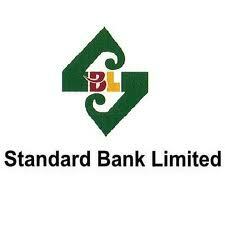 We hope that the Standard Bank can maintain their Import business in near future. After observing the figure drawn above, we have found that, during the time period between the Years 2004 to 2008 the Export Business of the Standard Bank was increasing and the growth is on average 20.67% which was a good sign. We hope that the Standard Bank can maintain their Export business. After observing the figure drawn above, we have found that, during the time period between the years 2004 to 2008, ‘the Foreign Remittance Business of the Standard Bank was increased by on Average 54.18%, which was a good sign. We hope that the Standard Bank can increase their Remittance business in near future. After observing the figure drawn above, we have found that during the time period between the years 2004 to 2008 the Import Business of the Standard Bank was increasing, which a good sign was. In 2008 the overall performance of Export Import Bank of Bangladesh Limited is in satisfactory level. Because, in 2007 Banks performance is better compare to previous performance, in almost every aspect. After observing the figure drawn above, we have found that during the time period between the years 2004 to 2008 the Import Ratio of the Standard Bank was fluctuating. We hope that the Standard Bank can increase their Import ratio in near future. After observing the figure drawn above, we have found that during the time period between the years 2004 2008 the Export Ratio of the Standard Bank was fluctuating. We hope that the Standard Bank can increase their Export ratio in near future. After observing the figure drawn above, we have found that during the time period between the years 2004 to 2008, the Remittance Ratio of the Standard Bank was fluctuating. We hope that the Standard Bank can increase their Remittance ratio in near future. In 2008-the overall performance of Export Import Bank of Bangladesh Limited is in satisfactory level. Because, in 2008 Banks performance is better compare to previous performance, in almost every aspect. Their Foreign Exchange Business almost stable during those years. To evaluate the performance of foreign exchange department is very much important as because Standard Bank mainly deals with import, export and foreign remittance. Foreign exchange is an international department of the bank. It facilitates international trade through it’s various modes of services. It bridges the between importers and exporters. This department mainly deals with foreign currency that is why it called foreign exchange department. This department is playing an important role enhancing export, import and remittance earning, which aids economic growth. After observing the figure drawn above, we have found that during the time period between the years 2004 to 2008 the Import income of the Standard Bank was increasing, which a good sign was, we hope that the EXINI Bank can increase their Import income in near future. After observing the figure drawn above, we have found that during the time period between the years 2005 to 2008 the Export income of the Standard Bank was increasing, which a good sign was. We hope that the Standard Bank can increase their Export income in near future. In 2008 the overall performance of Export Import Bank of Bangladesh Limited is in satisfactory level. Because in 2008 Bank’s performance is better compare to previous performance. As an Export Import bank, the contribution of foreign exchange department puts the major part in the total income level of the Standard Bank Limited. After observing the figure drawn above we have found that during the time period between the years 2005-2008 the contribution of foreign exchange department on the total income of EXIM is increasing. This study is focused on the Foreign Exchange Management of Standard Bank. Now I will discuss in brief, what 1 have found after the study under the strength, weakness and success status of Import Export and Remittance Business. Standard Bank foreign exchange department communicate with foreign banks frequently and quickly. Modern technical equipment such as computer is not sufficient in foreign exchange department. As a result the exchange process makes delay and it is also complicated. Standard Bank is the largest of the state-owned commercial banks that come into being in the year of 1999 through the merger of branches of some banks Standard Bank has total of 15 branches as of 31st ` December 2002. Standard Bank remittance business is poor compare to import and export. Standard Bank-s management information system and financial information system have been restructured over the recent years to keep pace with the process of development. The projects must be productive so as to maintain the streams of the yield that would ascertain the effectiveness and the velocity of the credit. Peoples are interested to doing business with this bank. Earning of Standard Bank from foreign exchange department is increasing year by year. On the basis of partnership business of profit and loss EX1M bank Bangladesh ltd was established in Bangladesh to operate banking activities to avoid interest. Standard Bank has achieved stable growth and continuous progress to be one of the leading private sectors banks of the country. Extend socio economics and financial services to individuals of all economy background with strong commitment in rural uplift. Aims to introduce well fare oriented banking system and also established equity and justice in the field of all economics operations. The service quality of the bank in better like other local private commercial bank that-s why the bank is called “BB+” category bank in CAMELS rating. In Standard bank limited there is no actual marketing department, the marketing strategies are at currently being implemented by all employee of the bank by giving them deposit target and for lending some investment officers are assigned the responsibility. In foreign exchange department it is required to communicate with foreign banks frequently and quickly. To make the process easily modern communication media for example e-mail, fax and win fax, Internet etc. should be used. But the bank has not much practice of using these media. The Foreign Exchange department should be well informed regarding their goals and objectives. It is essential to execute company objectives into individual target. The bank should provide more incentives to their customers while opening LC. There must be a clear allocation of responsibilities, authority and accountability of Foreign Exchange department. Import and export ratios are increasing year by year that is a good sign for the bank. EXIM have to increase remittance business. Foreign exchange operations of other banks are more dynamic and less time consuming. Standard Bank should take some initiative to compete with those banks. The hank should take the initiative to develop an effective research and development center to get innovative ideas to capture the competitive market. To meet today’s urge of the customer, the bank should introduce E – Banking system. Credit Card and Automated Teller Machine (ATM). The hank should go for advertising about their bank what types of facility they are executing for the customer. As a result banking activities will expand. Customer service of bank has a greater impact on its customer. To provide smarter customer service they need a call center department is very popular now- a day. Beside social work the bank have to be more serious to get better position in CAMEL rating. To gain success in the programs like “property alleviation and “self reliant” especially in rural areas, this bank should provide investment facilities on the basis of individuals. As an bank, the bank should more focuses on foreign exchange department to get success quickly. As an organization the Standard Bank Limited has carried the reputation of top banking operation in Bangladesh. It is relentless in pursuit of business innovation and improvement. It has a reputation as a partner of consumer growth. Though it is a new bank, Standard Bank makes a strong position through its various activities. Its number of clients/ amount of deposit and investment money increases day by day. This bank already has shown impressive performance in Import Export and Remittance Business. Standard Bank introduced a specialized banking service in Export Import business. With a bulk of qualified and experienced human resource, Standard Bank Limited can exploit any opportunity in the banking sector. Since its establishment it is rendering its services with qualified and knowledgeable staff. The environment of Standard Bank Limited is much modernized and friendly. The staffs are specialized in their respective fields. Each of them works on their own and there is supervision from the top. The motivation of the staff believes comes from the very sense of responsibility. Each member is individually- responsible for his or her work. Consumers are more or less satisfied with the present services of the bank. Management should think to start new services and take different types of marketing strategy to get more customers in this competition market of banking. It has made revaluation especially in the field of Foreign exchange management of EXIM became successful in providing that foreign exchange business can be made properly, Profitably following, profit and loss sharing concept with abolishing interest and which is also beneficial to human being and society. Inspire of present limitation Standard Banking system has tremendous potentiality and prospect in Bangladesh. Firstly, successful launching and operation of Standard Bank in Bangladesh has established the fact that banking with interest is feasible. Secondly the foreign exchange department of Standard Bank plays an important role for global trading which helps to make strong national economic condition. • HARVILLE, D.A (1977) Maximum likelihood approaches to variance component estimation and to related problems. Journal of the American Statistical Association 72, 320-388. • HENDERSON, C.R (1973) Maximum likelihood approaches to variance components. Unpublished Manuscript. • HUNTER, R (1980) Fluctuation reserves- simulation of German method for calculating fluctuation reserves. General Insurance Conference, Cambridge, available by the institute of Actuaries Office. • PATTERSON, H.D And THOMPSON,R (1971) Recovery of inter-block information when block sizes are unequal. Biometriaka 58, 544-554. RAMLAU-HANSEN, H. (1982) An Application of credibility theory to solvency margins. Some comments on a paper by G.W DE WIT and WM KASTELIJN. ASTIN Bulletin 13, 37-45. MOHAN BHATIA (JULY,2009) An Introduction to Economics Capital with the Basel II and Solvency II Framework in place. • Several Booklets from Standard Bank. • Several Newsletter s from Standard Bank. • Different types of brochures of Standard Bank. • Articles of Standard Bank. • The ministry of finance government the activities of banks and financial institution 1996 -1997 to 1999 -2000.